On 7 December 2010, the Republic of Guatemala joined the SUN Movement with a letter of commitment from the Vice Minister of Health. 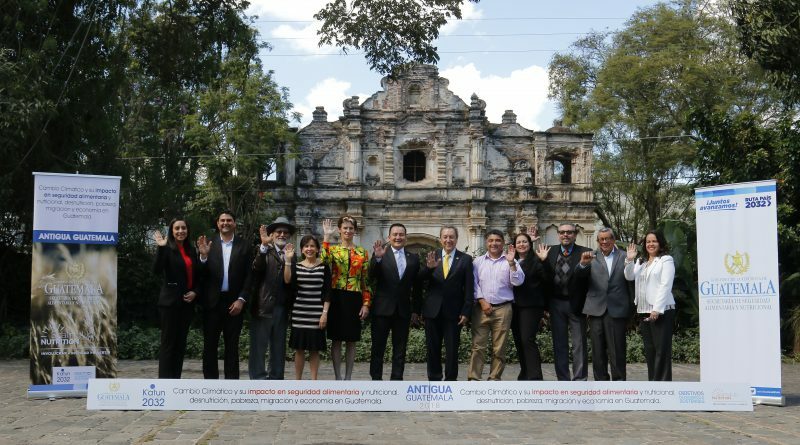 At the time, Guatemala’s National System for Food Security and Nutrition in Guatemala was recognized as a model for multi-sector, multi-stakeholder food and nutrition security governance in the Latin American region and political commitment to nutrition was coming from the highest possible level. In 2012, as part of his “National Agenda for Change” President Otto Perez Molina vowed to tackle malnutrition through his National Zero Hunger Pact. Under this Pact, the President had committed to reducing chronic malnutrition in children under five years of age by 10 percent before the end of his Presidential tenure. The Zero Hunger Plan had been presented to finance departments of all line ministries in an effort to secure their focused consideration when budgeting and planning results for improved nutrition. 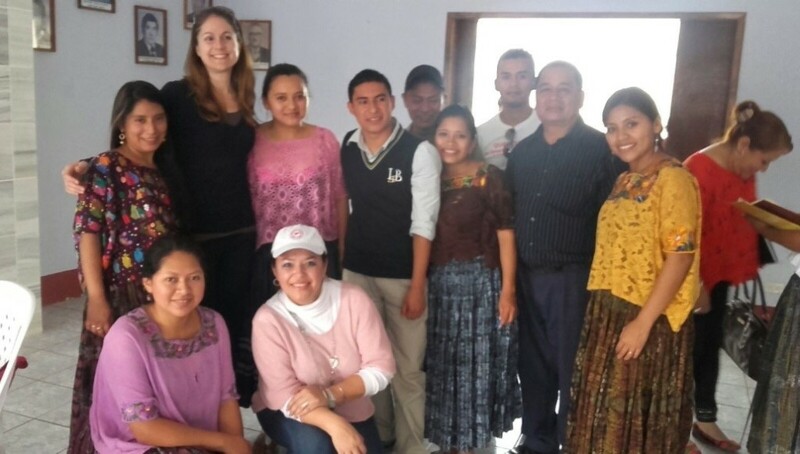 About the author: Dr. Claire Blanchard, Civil Society Network Coordinator writes about her recent mission to Guatemala. Guatemala has 46.5% of chronic malnutrition of children under 5 (ENSMI 2013/2014) in the Central American region in spite of high level political commitment. This is the highest in the region and one of the highest burden in the world. With children, we have the most valuable opportunity to study their development of logical thinking, mathematics, physics and other areas. This is the reason that I feel it has been so necessary and timely to create a Learning Route, focusing on exchanging knowledge and experiences, which become very creative tools enabling the different SUN countries to expand their capacities, with innovative methods that each region has to overcome chronic child malnutrition. When the President of Guatemala, Otto Pérez Molina, learned that less than 1% of Guatemala’s population believed their country had a problem with malnutrition, he instructed his entire cabinet to live in rural areas for a week with a family facing chronic food shortages and malnutrition. The result was the launch of the whole-of-government ‘Zero Hunger Pact’ in 2012 together with a mobilization campaign known as ‘The 1,000 Days Window’. Nutrition governance was improved in 2016 with the creation of the Presidential Commission to Reduce Chronic Malnutrition, which reports directly to the President, comprising ministers and the Secretariat for Food and Nutritional Security (SESAN). With civil society and the institutions responsible, the Presidential Commission promotes reducing chronic malnutrition. The Commission complements the National Food and Nutritional Security Council (CONASAN), which is responsible for coordination among ministries and other organisations. CONASAN comprises the ministries of Health, Agriculture and Social Inclusion, and SESAN. It is responsible for coordinating inter-ministerial action, with the support of 22 departmental and 314 municipal food and nutritional security commissions. 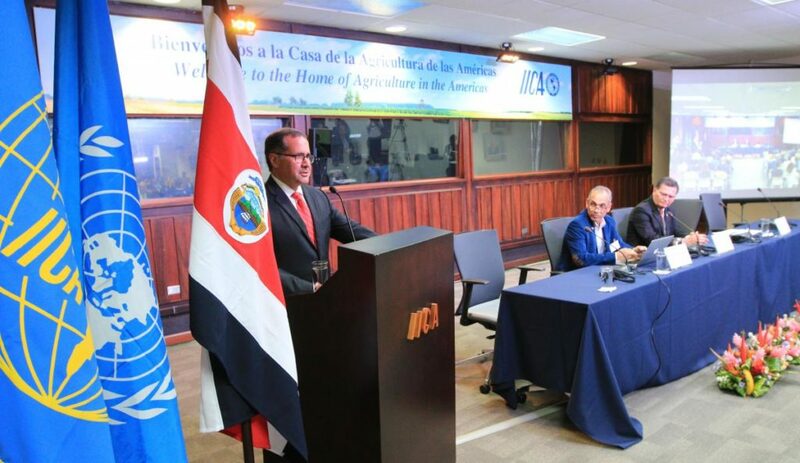 The President of Guatemala Jimmy Morales, has been a member of the SUN Movement Lead Group and, despite government changes, the focal point remains in place. The National Council for Food Security and Nutrition (CONASAN) is the multi-sectoral body that leads policy direction and decision-making at the Government level, which comprises five representatives from civil society. The SUN Movement’s multi-stakeholder platform works towards opening up participation to other stakeholders such as donors, the private sector and civil society. In 2016, the multi-stakeholder platform has worked to coordinate national efforts by its various members, and to strengthen its role as technical, financial and legal advisor to CONASAN. The National Council for Food Security and Nutrition is the body for management and making political decisions; it is presided over by the Vice President. The Council is made up of eight Ministries, three central government secretariats, one municipal entity, five civil society representatives and two business sector representatives. The Secretariat for Food Security and Nutrition (SESAN) coordinates the actions of the different stakeholders and institutions involved; the Citizen Consultation and Participation body comprises representatives from 10 sectors from civil society, while the Institutional Support Group coordinates the technical, financial and operational support for the international cooperation. The multi-stakeholder platform of the SUN Movement offers an opportunity for technical coordination. SESAN and five Government ministries are involved in the platform, as well as representatives from United Nations agencies, academia, donors, civil society and the private sector. The private sector Alliance for Nutrition is made up of 23 organisations from the business world and civil society; it coordinates efforts to implement actions for the 1000 day Window. The United Nations agencies, embassies and donors on the ground in the country are part of the Roundtable of Partners in Nutrition and Food Security and Rural Development that seeks to harmonise actions with national priorities. Legislative proposal 5236, proposed by the Food and Nutritional Security Commission of the Congress, the “Law on Provisions to Facilitate the Coordination of Actions Aimed at Reducing Child Malnutrition”, updates the Law on the National Food and Nutritional Security System, revised between 2016 and 2017. This proposal needs to be submitted for CONASAN’s assessment. The Parliamentary Front against Hunger promotes the implementation of a law that advocates for local food at schools to bolster the country’s rural economy. 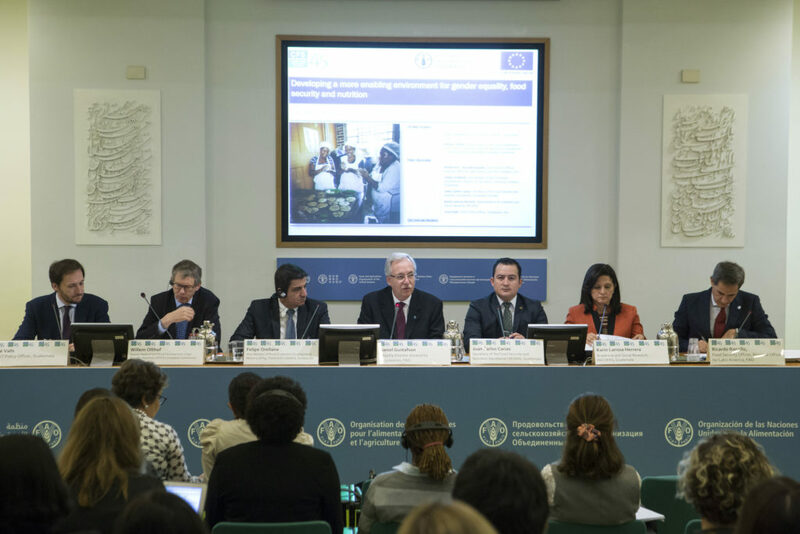 Based on the evaluation of the results of the 2012-2016 Zero Hunger Pact Plan, Guatemala decided to refocus its common results framework strategically and programmatically to make progress on reducing chronic malnutrition. The 2016-2020 Strategic Plan for Food Security and Nutrition and the 2016-2020 National Strategy for the Prevention of Chronic Malnutrition (ENPDC) provide the political framework to support the achievement of targets. In 2016, some members of the multi-stakeholder platform developed a legislative proposal on the support for and protection of breastfeeding. The Act on the National System for Food Security and Nutrition and the National Policy on Food Security and Nutrition provide the political and institutional framework to define, the system’s central and decentralised bodies, as well as the National Strategy for Reduction of Chronic Undernutrition (ENRDC) and the Strategic Plan for Food Security and Nutrition (PESAN 2012-2016). The struggle against chronic undernutrition is one of the four priorities of the 2012-2016 national Government and has led to the establishment of the Plan for the Zero Hunger Pact (PPHO) in which all state sectors have committed to reducing chronic child undernutrition and reducing the mortality of severely undernourished children under five years of age. The 2012-2016 Plan for the Zero Hunger Pact is the roadmap for implementing the Zero Hunger Pact and the 2012-2016 Strategic Plan for Food Security and Nutrition. 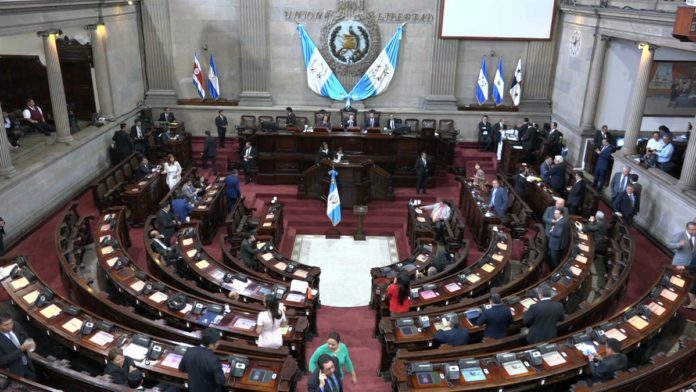 The Parliamentary Front against Hunger in Guatemala currently promotes a legal review mechanism to analyse the coherence of current frameworks and promote the application of existing legislation. The common results framework comprises the 2016-2020 National Strategy for the Prevention of Chronic Malnutrition (ENPDC) and the 2017 Response Plan to Address Seasonal Hunger (PRAHE). The institutions involved produce annual operational food safety and nutrition plans (POASAN) with actions and budgets under the ENPDC and PRAHE. The operational analysis centre, designed by SESAN, includes a methodology for implement the ENPDC locally with all actors. 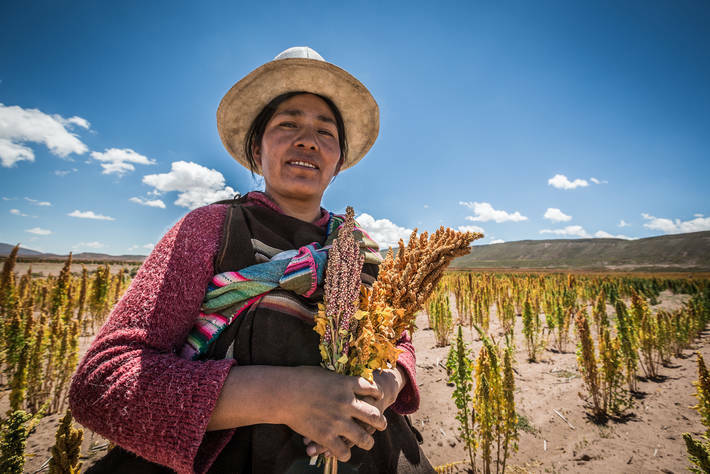 In 2016, Guatemala updated its common results framework based on the lessons learned from implementation of the Zero Hunger Pact Plan, which influenced the design of the 2016-2020 ENPDC. The new framework is being designed with a focus on management by results, and the country is currently collectively defining the priority measures for ensuring that the different sectors are directly involved and that their actions are aligned with the ENPDC. At the same time, it is also updating its monitoring and evaluation system so that actions can be adequately tracked. The Plan for the Zero Hunger Pact is the Common Results Framework and is the technical and operational instrument for managing resources and coordinating actions with the private sector, civil society and partners/donors. The Plan includes guidelines set down in the ENRDC and the Thousand-Day Window, which are reflected in three types of action: direct actions, viability and sustainability actions and cross-cutting actions. The interventions have mainly been focused on 166 priority municipalities. The Alliance for Nutrition has aligned its actions within the framework of the Thousand-Day Window in 460 communities, which link together aspects of communication, awareness-raising and food fortification. The Alliance, in coordination with the Government, is designing a logistics model for the distribution and delivery of supplies and medication to health posts. The budgets for the POASAN are in line with a results-based management approach. When drawing up the POASAN, government institutions analysed the budget approved by the Congress identified shortfalls that could be partly covered by resources from donors such as the European Union or the Andalusian Agency for International Development Cooperation (AACID), among others, or with loans from the World Bank. The UN Resident Coordinator has offered financial support to cover part of the gaps in the PRAHE. SESAN conducts monthly financial tracking of budget implementation for the POASAN, and this can be accessed publicly via the Ministry of Public Finances’ webpage. 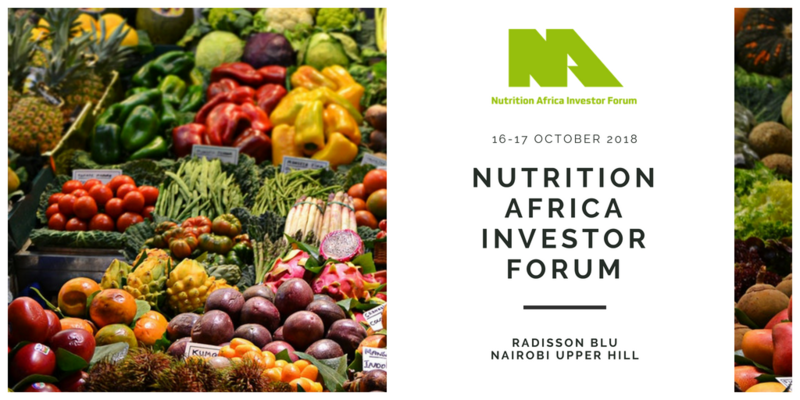 There are specific mechanisms and structures for tracking the financial performance of nutrition actions. The 2015 fiscal deficit, along with the political problems and corruption investigations, presented a serious challenge for Guatemala, affecting tax revenues and the budget for implementing actions on nutrition in 2016. Another important challenge has been the fact that financial reporting from non-governmental stakeholders has not been incorporated, making it difficult to plan and prioritise the use of national resources. Since 2012, Guatemala has implemented an integrated accounting system to allow online viewing of the use of resources in real-time. In 2013, the Ministry of Health introduced a theme-based classification system for budget planning for the 13 main actions directed at preventing chronic undernutrition. To monitor the progress of the PPHO’s physical goals and the decentralised expenses, SESAN defined 106 indicators and coordinated all the monitoring systems in SIMON. The Alliance for Nutrition conducts user surveys to ensure regular monitoring of services related to the Thousand-Day Window. The National Statistics Institute carries out annual monitoring and impact assessment surveys on the PPHO, in coordination with SESAN, and provides technical support to the International Research Institute on Food Policies.